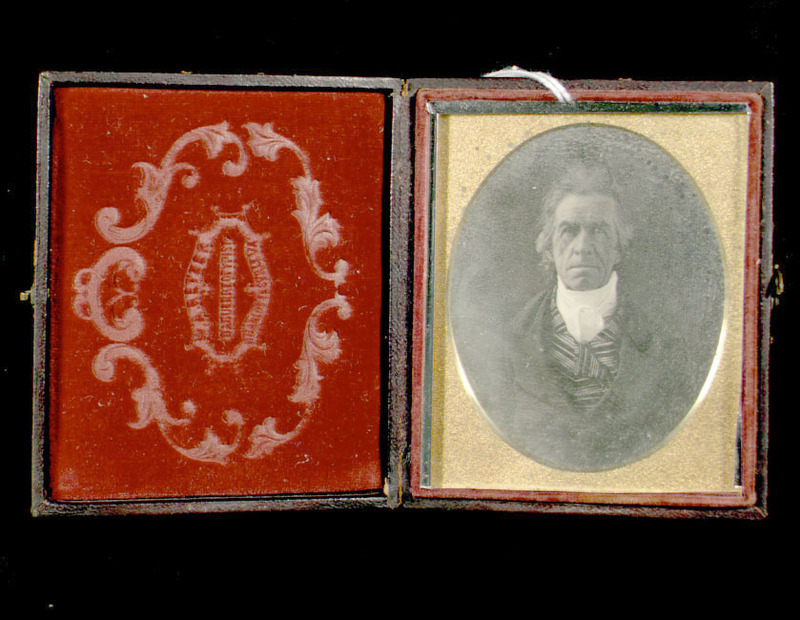 Daguerreotype of John Hartwell Cocke. John Hartwell Cocke, of Fluvanna County and a general in the War of 1812, was a zealous reformer who attacked the cultivation of tobacco as the source of the political, economic, and social ills of the state. He advocated a Constitutional amendment to end slavery, "the great cause of all the evils of our land," by providing funds to resettle freed slaves in Africa, manumitted many of his own slaves, and was senior vice-president of the American Colonization Society for almost fifty years. Religiously devout, he championed the missions of Bible, tract, and Sunday school societies, was a member of the American Board of Commissioners for Foreign Missions, and was president of the United States Temperance Union. In addition, he spent thirty-three years on the Board of Visitors. Cocke worked with Jefferson on the building committee and personally helped supervise construction. His practicality and fiscal conservatism were sometimes at odds with Jefferson's aesthetic sense. 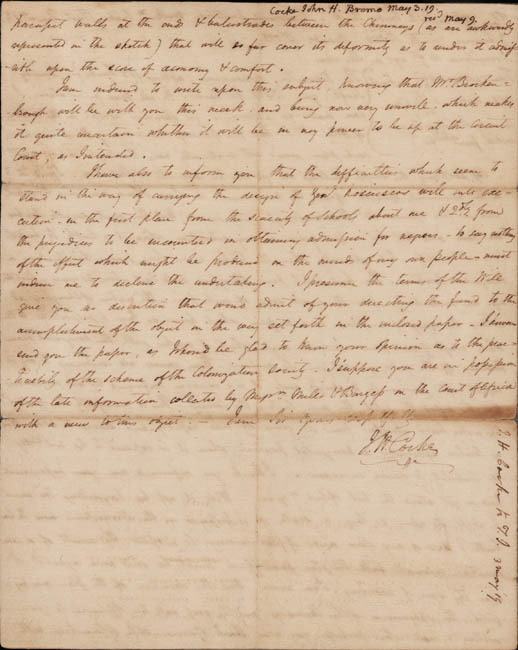 On May 3, 1819, he wrote a long letter to Jefferson questioning the latter's decision to put flat roofs on the student rooms as "I find it to be the universal opinion of all the mechanicks to whom I have mentioned the subject...that the most durable timber we have will last but a few years in any situation where it is liable to be wet & dry alternately--but especially where the timber is in large pieces & is placed in a horizontal position...it is a maxim confirmed by all experience that the higher the pitch the more lasting the covering."